Loaded with 521 parts for lots of open building fun! 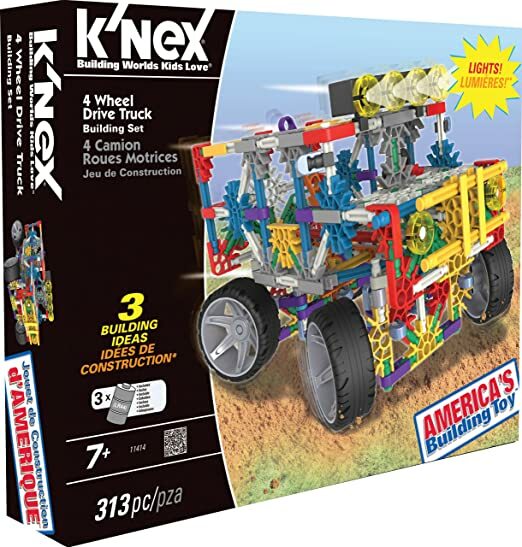 Target.com is offering up this K’NEX 35 Model Ultimate Building Set for just $11.99 + Free in-store pick up if available. Plus, REDcard holders will save an additional 5% off. 这套 set 包括了475 pieces, It includes ideas and instructions for 35 unique models like trucks, planes, creatures and robots. 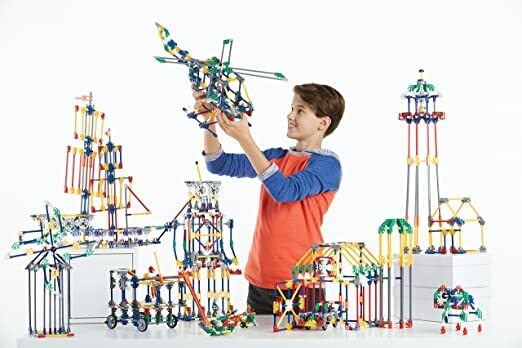 Walmart.com is offering up this K'nex Tinkertoy Essentials 100-Piece Value Set for just $18 (reg. $28.24). Choose free in-store pick up if available near you. 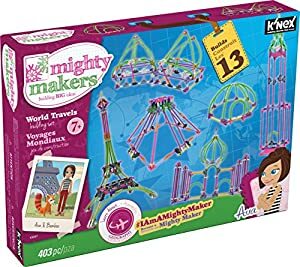 Amazon.com now is offering this K’NEX Mighty Makers – World Travels Building Set for only $20 (regularly $39.99). This set includes 403 K’NEX parts and pieces to build replicas of real-world locations around the globe. It also includes instructions for 13 different geographical builds and features Ava, red panda figures and more. Today only, you can get a 30% off Toys & Games purchases with the promo code PLAY at checkout. Amazon.com now is offering up this K`Nex Imagine 25th Anniversary Ultimate Builder’s Case Building Kit for just $35.56 shipped (regularly $74.99) – best price ever. This kit contains 750 classic K’NEX pieces to build 52 different models including a pirate ship, robot, car and more! Walmart.com where you can get this K’nex Imagination Makers Building Set for only $14.97 (regularly $34.99)! This set has 382 pieces of classic K’nex pieces featuring brighter and lighter colors. It comes in a reusable storage tub to keep everything together. 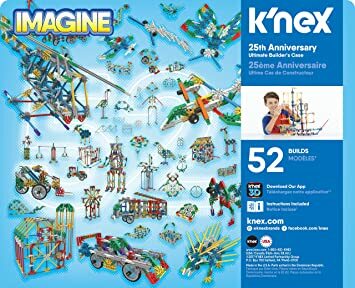 Amazon.com now you can get this K’NEX Imagine 25th Anniversary Ultimate Builder’s Case 750-Piece Building Kit for only $31.39 shipped (regularly $74.99). This 750-piece Builder’s Case Set features classic scale K’NEX rods and connectors to build anything your kiddo can imagine. There are step-by-step color coded instructions for making 50 different and unique models including a sailing ship, fire truck, lighthouse and more! 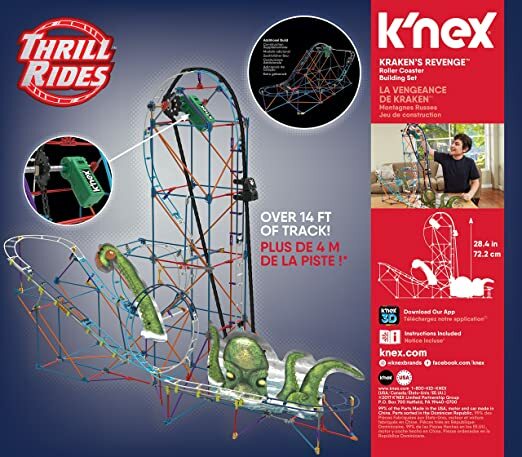 Amazon now you can get this K’NEX Thrill Rides Kraken’s Revenge Roller Coaster Building Set for just $29.99 shipped (regularly $49.99)! 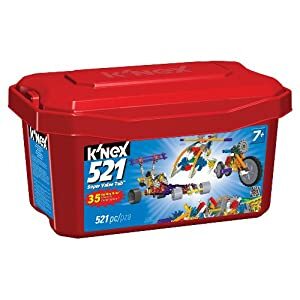 This 568 piece set includes a battery-powered motor that gives life to the K’NEX pieces. Even sweeter, if you ever break a part or lose a part K’NEX will take care of it! This set is intended for ages 9+. 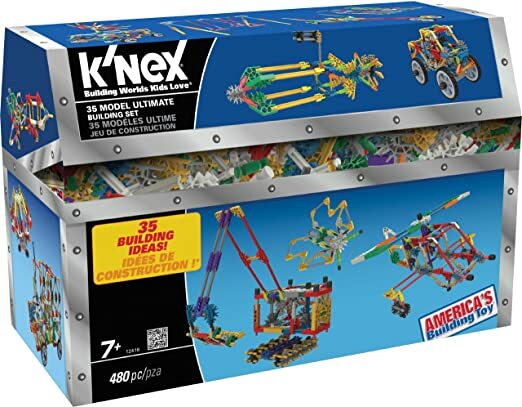 On Walmart.com you can now buy this K’NEX Imagine Classic Constructions 70 Model Building Set for only $20.97 (regularly $39.99)! This set includes 705 pieces with instructions for 70 unique models. Plus, it comes packaged as a treasure chest that also works as a handy storage box to keep all the parts in one place.